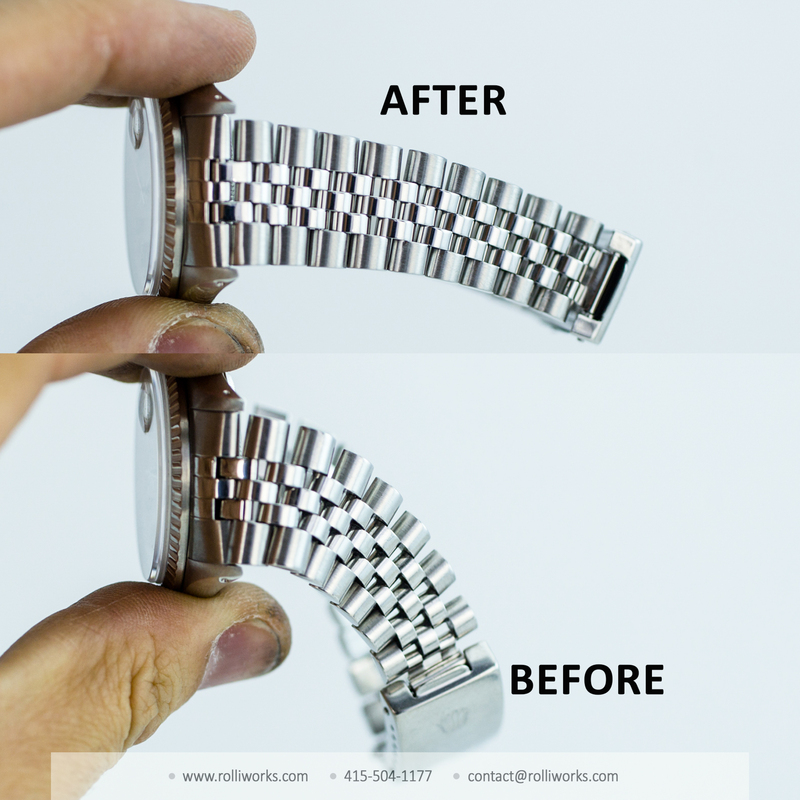 Poll/Feeler - Bracelet repair done in USA... Needed? 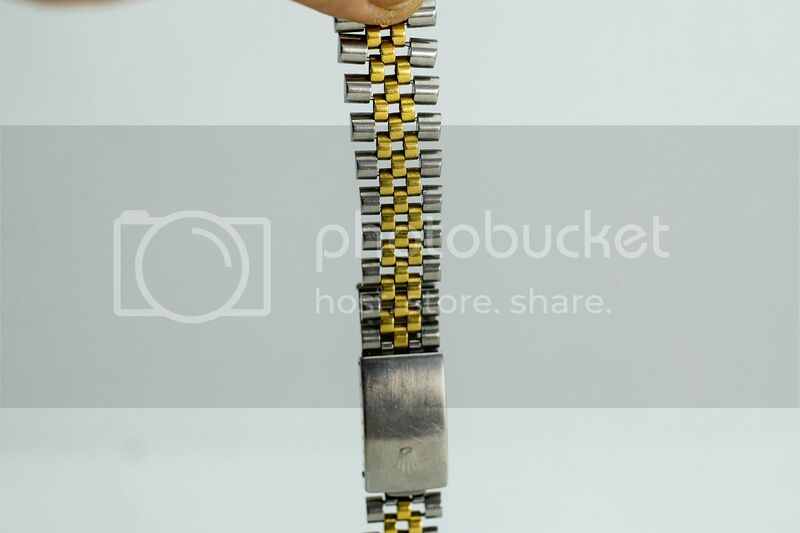 I just received a Jubilee bracelet back that was sent to Rolliworks for some stretch repair and I would like to say that I was very happy with the results. Thanks Rolliworks (Mike). Cool, may you post before and after pictures? Amazing transformation. Took a 1971 jubilee from rough to like new. Even filled in a hole. I’m very impressed and will definitely seek out your services in the near future. Pls keep posting the pictures; really enjoy these. Congrats! Some before and after pictures would be great! Tried posting them yesterday from my phone but had sizing issues, will post today from work. Interesting. We'd like to know how we measure up as well. We will wait to hear. 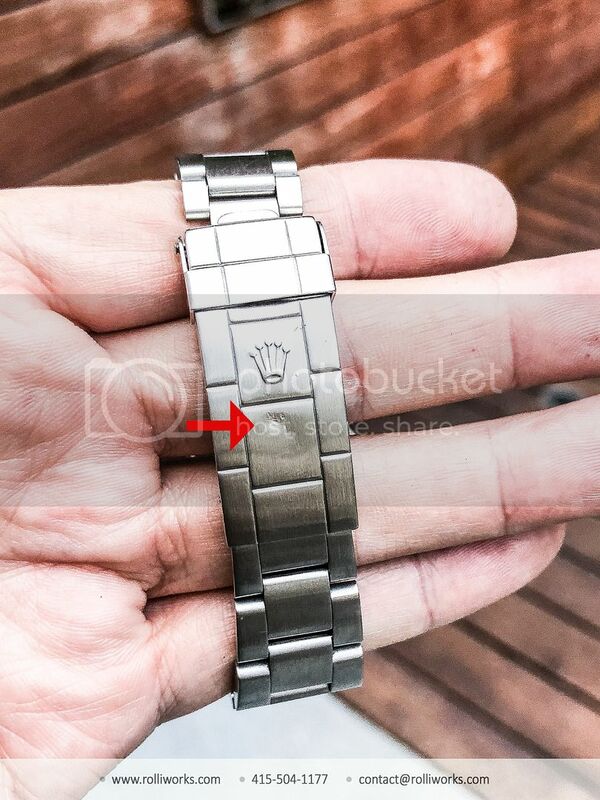 Good ole clasp repair? 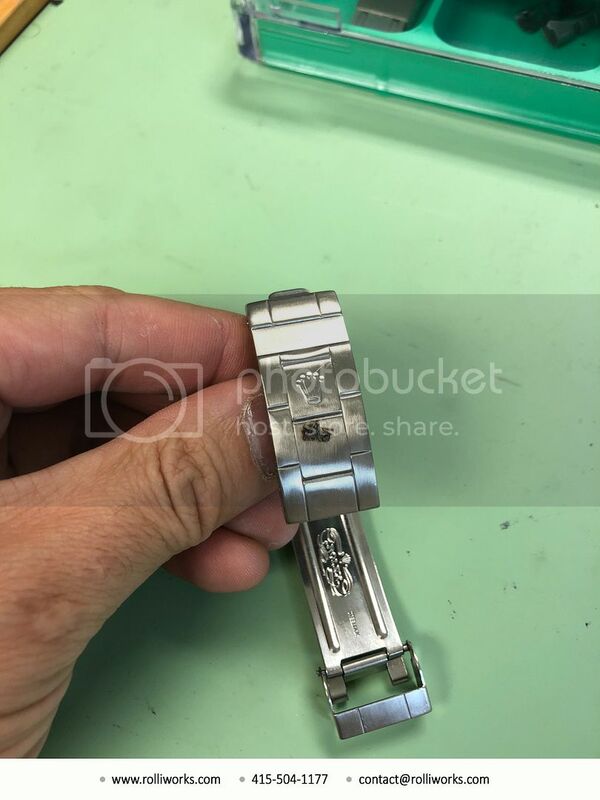 A member sent us their Sub for service but asked that we repair the whamo on the clasp. A little dapping and some laser welds. Sweet! 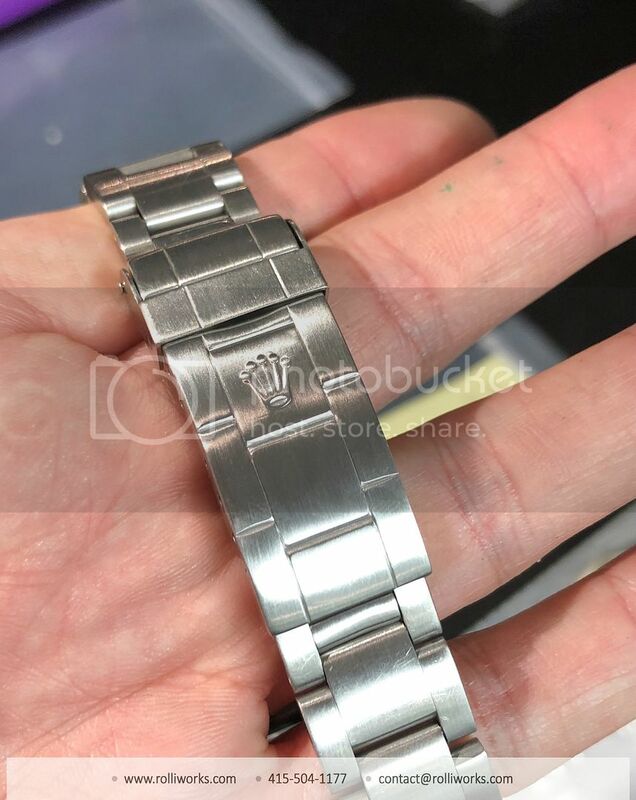 Looking forward in sending my watch for some laser welding for my case! Most bracelet don't require it. We laser weld as needed. 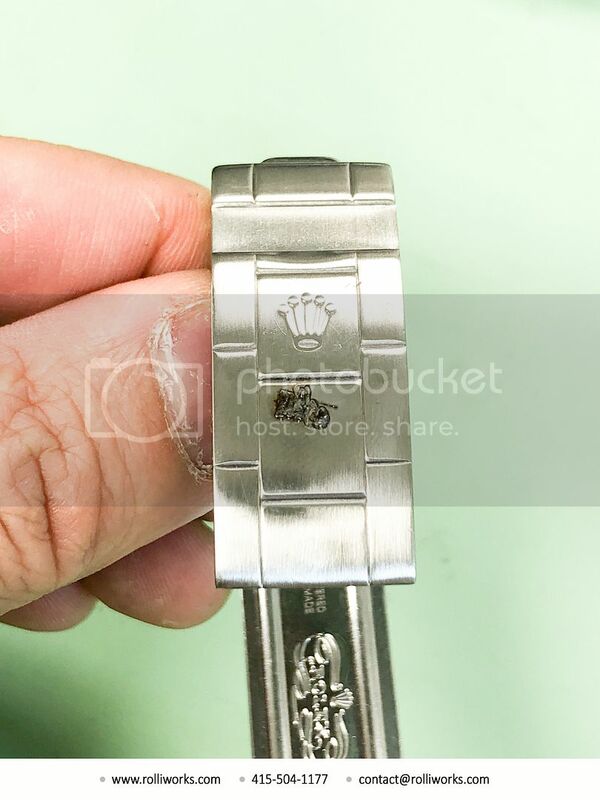 Usually Oyster and president bands need welding. We have a more active thread with some photos. 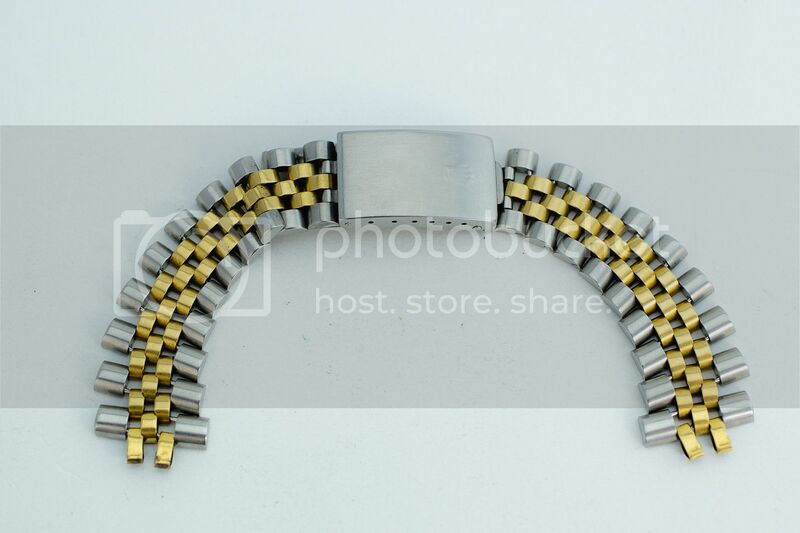 Presumably you are laser welding bracelets? 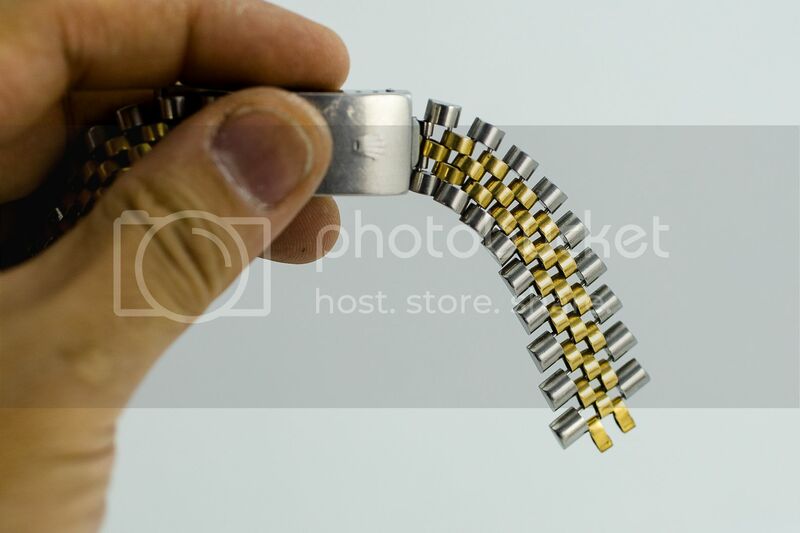 Dont let your your bracelet get this far gone. Friction becomes unevenly distributed. Look at the advanced wear in these areas. 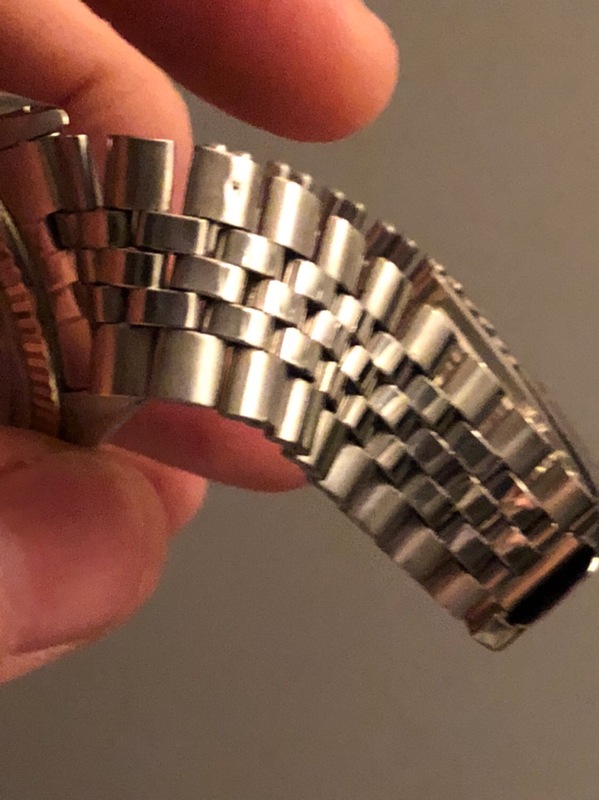 Had the bracelet been a bit tighter the direction would have spread more evenly and the damage wouldn't have been to severe. 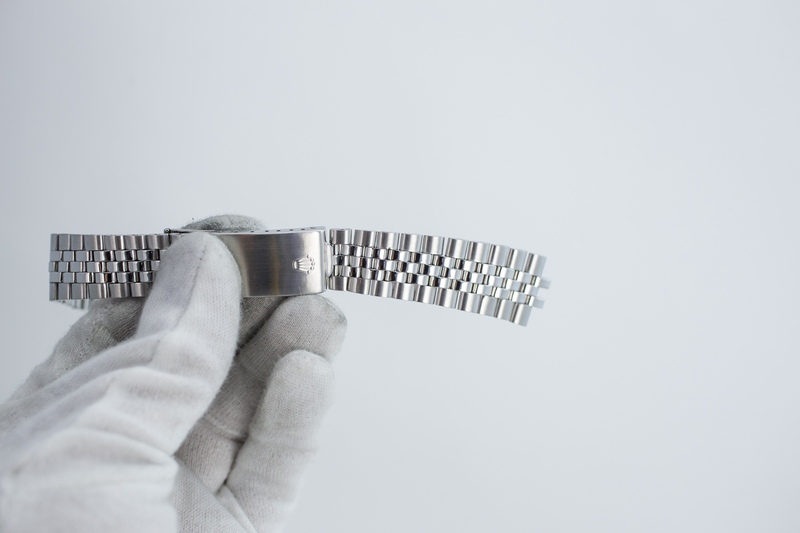 Expect that a bracelet can be elevated 20-30% while keeping costs reasonable. 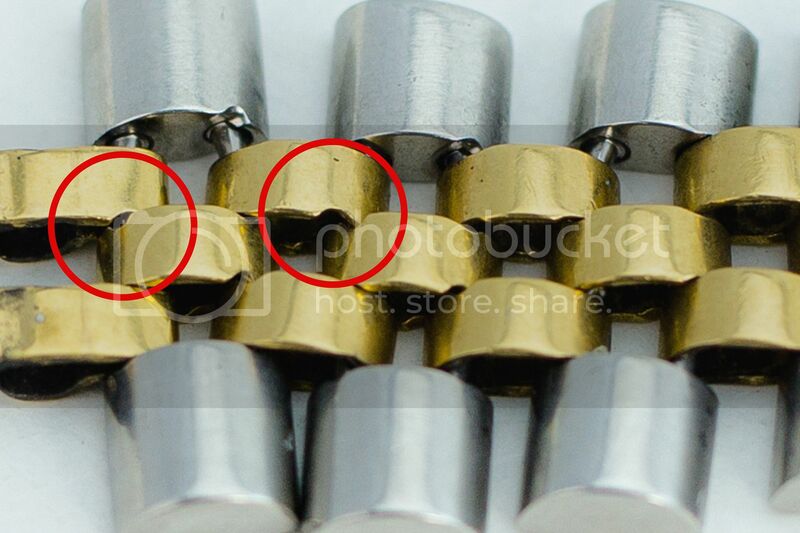 This is what worn tired gold Jubilee loops look like with new pins and tighten as much as possible without becoming stiff. 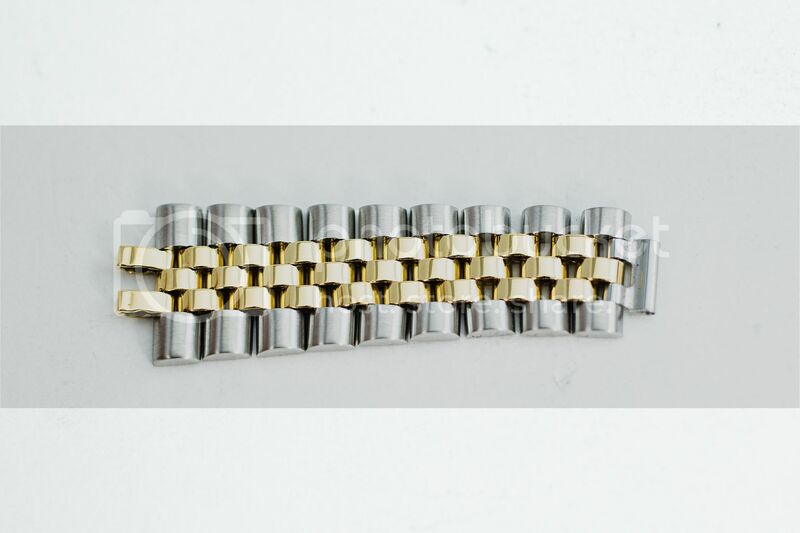 It looks surprisingly good from the front side, but the overall feel of the bracelet is not nearly as nice as one with gold loops in good condition. 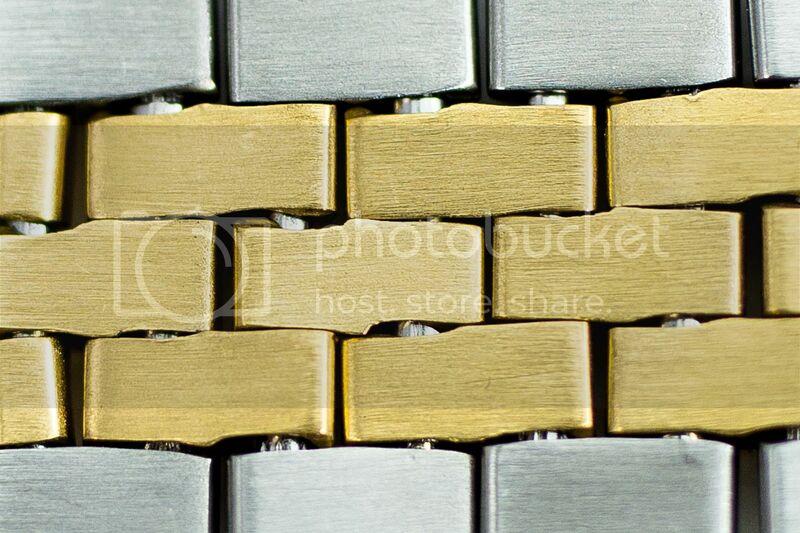 Notice none of the sides of the gold links are neither straight not square. 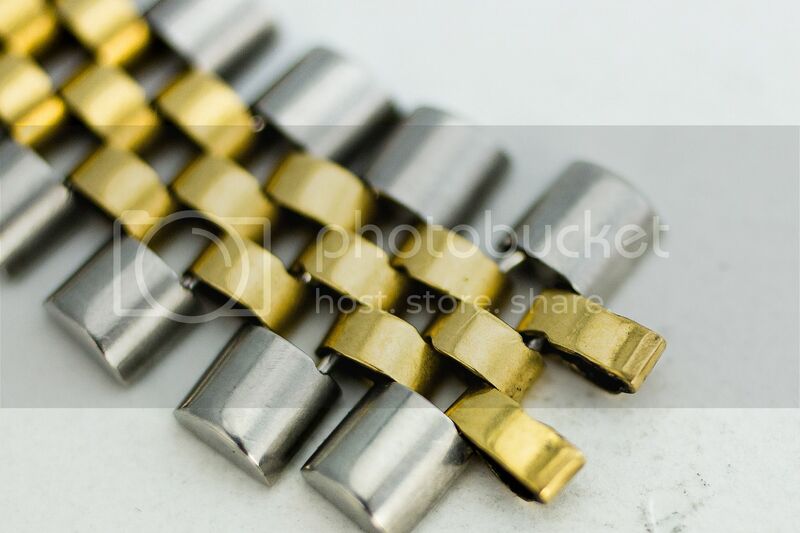 So many jagged edges on each gold link. Does make it near impossible to do a MINTY resto. All work done in the good ol’ U.S. of A.
Yah it's big $$$ and they have to give up their old one. Would be nice to be able to buy a new one maybe 25% off retail and be able to keep and sell the old to lessen the blow. This is a great thread. Glad I came across this. 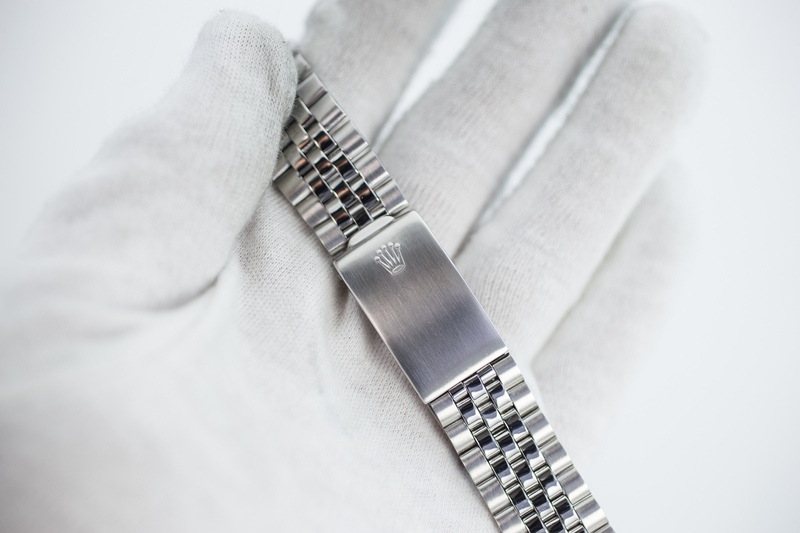 @RoLLiWORKS at what stretch mark/percentage would you recommend jubilee bracelet tightening? 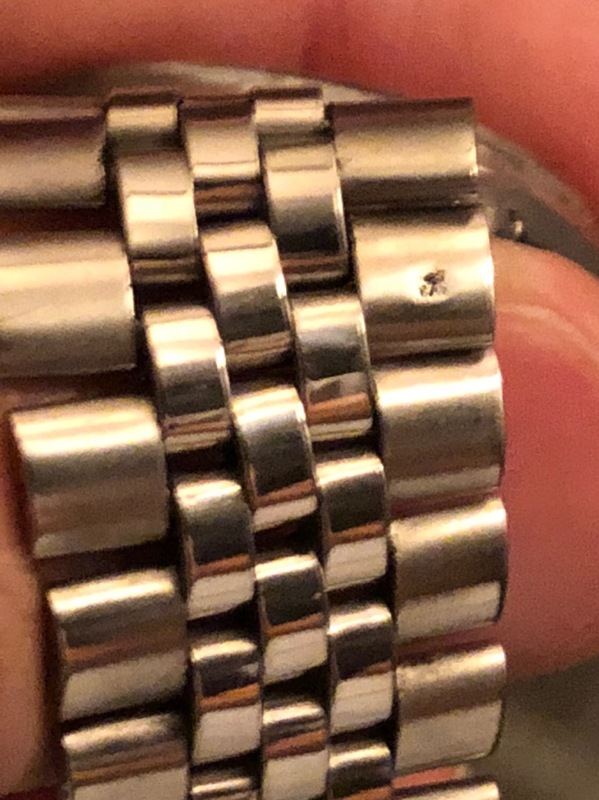 I own a 80's TT 36mm DJ with 85% bracelet stretch.